Spring is just around the corner, and with it comes the melting snow, blooming flowers and birds serenading their siren song of…Spring cleaning. o Overall, is work enjoyable? Does it provide enough money to enjoy life AND save for the future? o What’s the best way to get on an employer’s or client’s radar AND stand out in an overcrowded pack? o Is it time to “fire” that troublesome client despite losing the revenue? What’s the potential fallout? Is that fallout manageable? o Is it time to take a real stand with a colleague, client or boss, regardless of the consequences? And don’t let not knowing your life’s purpose prevent you from making smart career moves. This mindset does two things: removes pressure from decision-making and supports a flexible approach because you’re not constrained by a prearranged plan. There’s a big difference between settling and making the most of a situation. Settling encourages stagnation, while accepting added responsibilities for future benefit, for example, is being strategic. This approach challenges the mind and allows for the mastery of new skills, which results in clarity and confidence when making career moves. Too much focus can be counterproductive. Whether it’s a week in Mexico or a day away from home, a change of pace and scenery isn’t just fun, it allows the brain to problem solve subconsciously and effortlessly. Finding a respected mentor can supercharge a career. Be selective. Taking bad advice sinks a career just as fast as not taking any advice. Avoiding pitfalls, having a sounding board and learning from others’ mistakes are just a few benefits an experienced mentor provides. 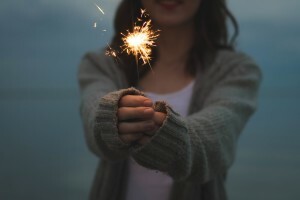 When it comes to lighting a fire under your career it’s all about making a habit of daily, incremental steps over the long run that lead not merely to a recharged career, but to one that’s on fire. ← Why Use an Outside Recruiter?